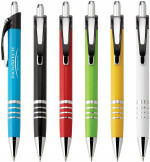 For a better pen, look no further than our Circus Ballpoint Pen! 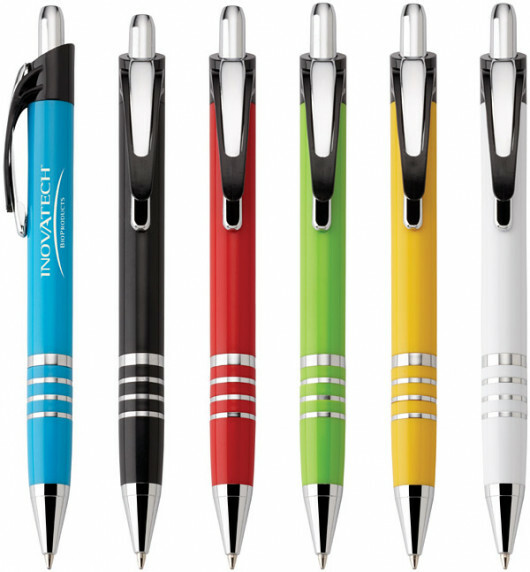 Imprinted with your custom logo or brand, it features a push-action ballpoint, solid colored barrel, chrome trim and metal clip with black accents. Available in white, yellow, green, red, black and blue colors. Approve your proof by 4PM EST today to ship by Wednesday, May 08 2019. 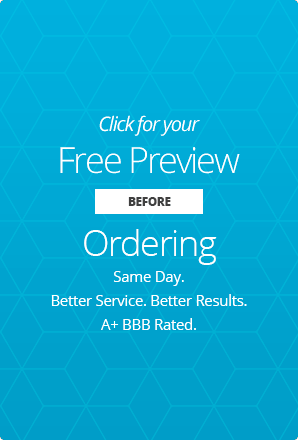 Inquire for faster timeframes.